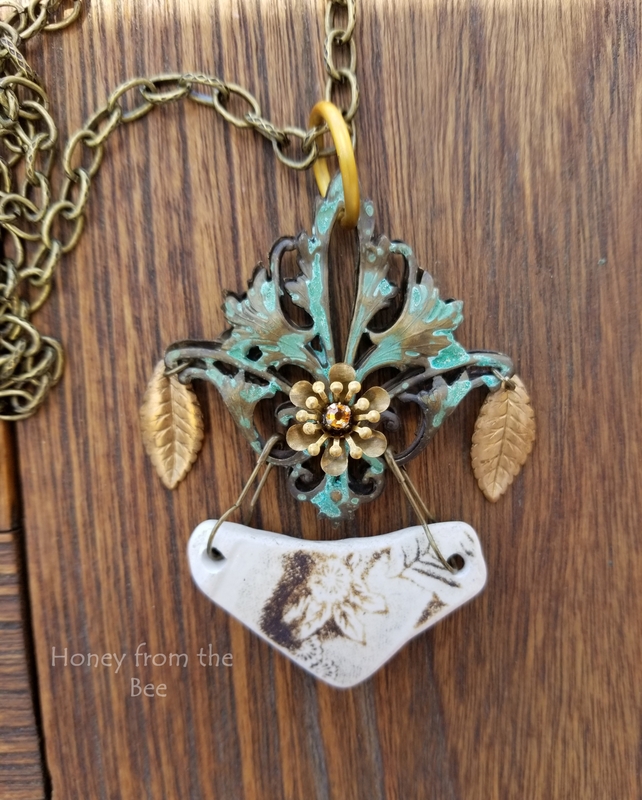 Mixed Media Pendant includes sea pottery from Alaska and vintage brass. When you pick up all the broken pieces and see how they fit together be sure to look for the beauty and story in each shard. 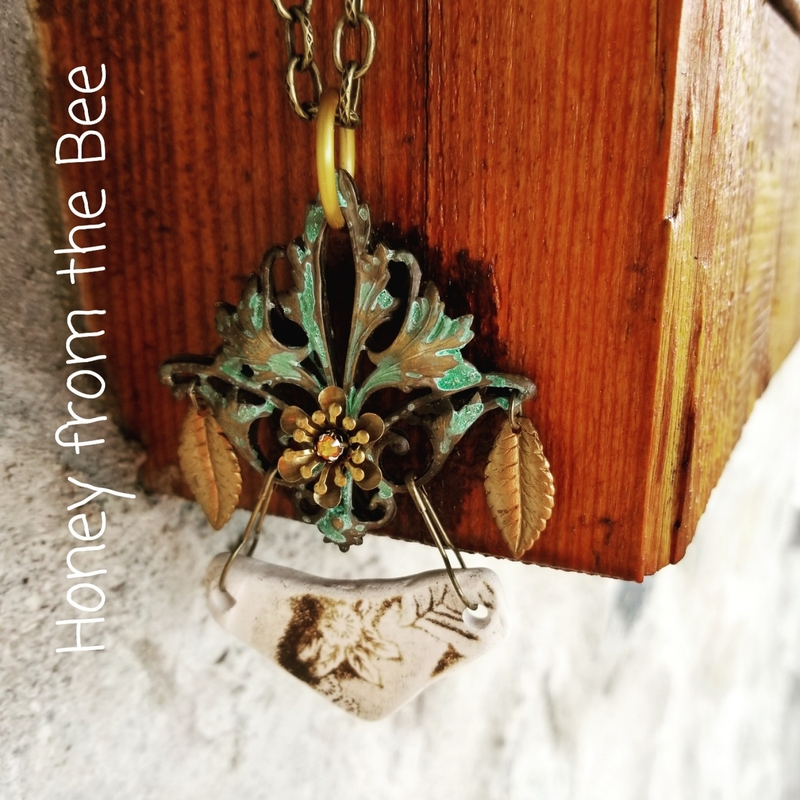 28 inch chain dangles a mixed media piece that finds beauty in collected and found objects. I love working on mixed media pieces, because I get to use items I've been collecting for many years. You never know what will look great together and that's the aha moment! Different textures and colors and age in the pieces all add to the beautiful whole. The pendant is about 3.5 inches from the top of the ring bail to the bottom of the sea pottery piece. 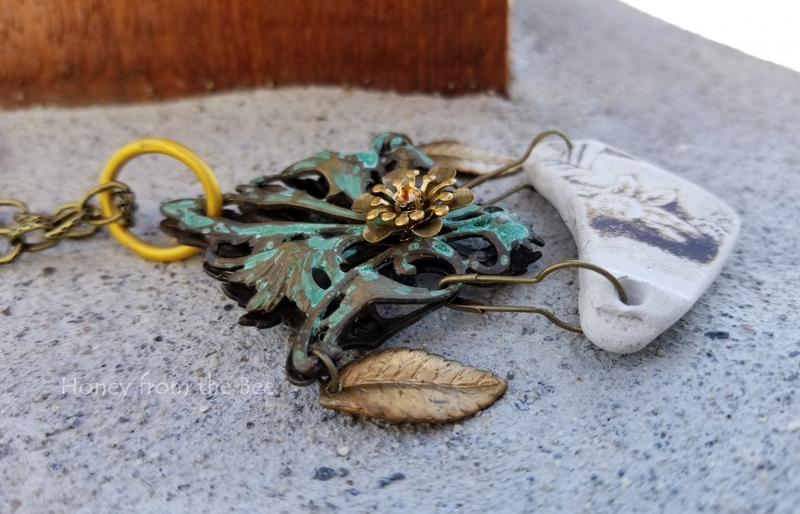 *Verdigris patina on fleur de lys stampings.